Home Porsche Driver’s Selection Porsche lifestyle products: an expression of your way of life. Accessories for a tasteful home. Accessories for a tasteful home. For many people, decorating their own homes with exclusive accessories is an essential aspect of their personal quality of life. Our own four walls should reflect our individuality, our taste and our preferences. The place where we live should embody our personality. With beautiful, high-quality items from the Porsche Driver's Selection, you can demonstrate your passion for and love of the Porsche brand and motorsports in general. Many of the products are available only in limited editions. As a result, the exclusive lifestyle products from Porsche Driver's Selection are already in demand by collectors and are increasing in value. 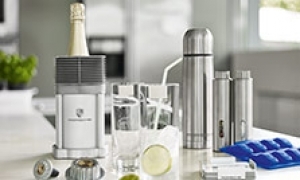 The stylish home accessories from Porsche enable you to make a tasteful design statement in your own home.